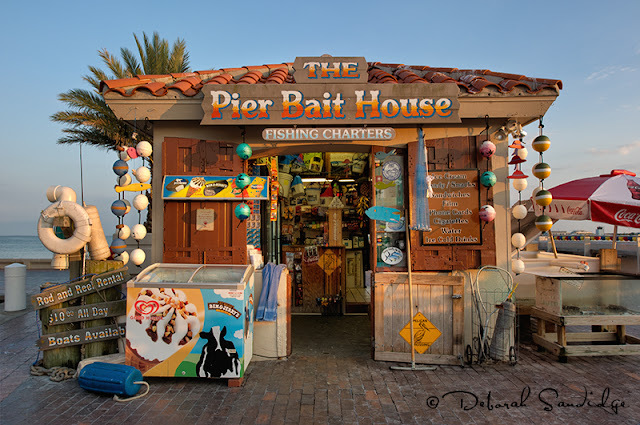 The Pier Bait House in St. Peterburg, FL is a great place to photograph! You can get Ben & Jerry's Ice Cream here, which you'll need for a hot day. Fishing gear, bait, cold drinks, you name it... it's all at the bait house. There are pelicans everywhere, waiting for a handout such as the wishful thinking pelican below who was keeping a close eye on me. He let me come close enough to get a birds eye view of his world. I rested my camera on the ground, used a 12-24mm wide angle lens to get this beak-to-lens shot. 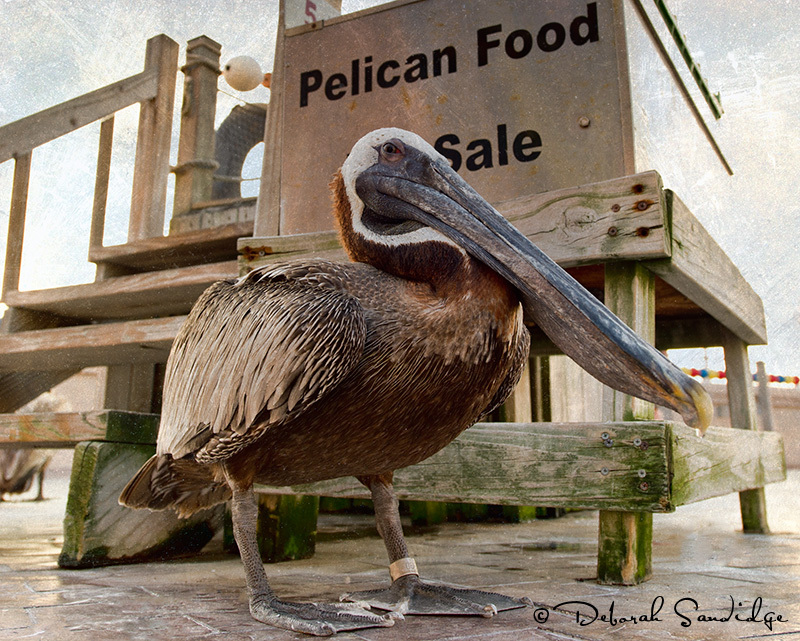 I couldn't resist using a little interesting texture for a painterly look in this image. Hope to see you down at the pier one evening! Summer clouds are building and there are many great photo opportunities!